Kieran's 2019 is already filling up with exciting performances. Make sure to catch him this April 13, when he takes to the brand new stage at Glasshouse, to present a set that showcases his uniquely powerful and emotive delivery of adventurous, genre-blurring music for viola. Debuting a world premiere written for Kieran by LALKA, plus music by Chris Perren and Missy Mazzoli, this is one to put in the diary! 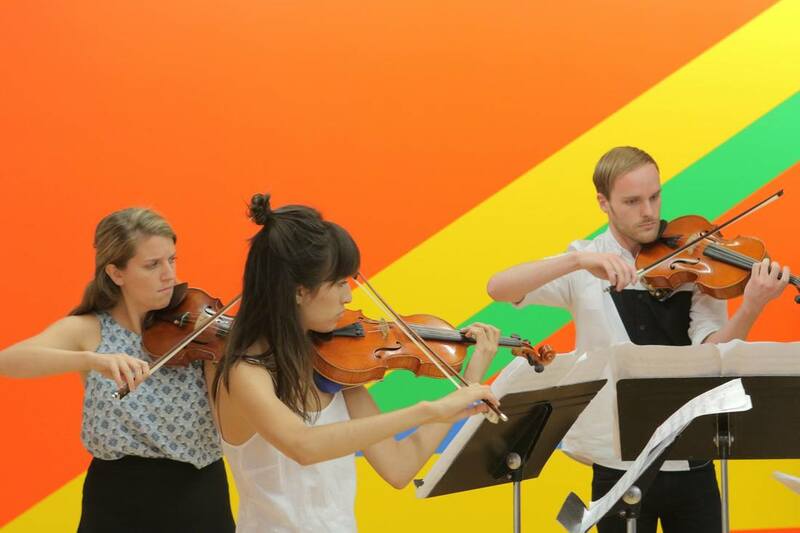 Then on May 14, Kieran will be presenting Nico Muhly and ANOHNI's "Keep in Touch" for viola and electronics, ​as part of a concert amplifying queer voices to celebrate the International Day Against Homphobia, Biphobia, Intersexism and Transphobia, and support local LGBTQI charities. Don't miss it, from 7pm at the Queensland Conservatorium. Finally, he is closer to officially announcing a debut album and concert tour for the second half of 2019, to be premiered at the Montecito International Music Festival! Check his regularly updated Dates page for all the latest performances. "Kieran [...] not only delivered a diverse and fascinating program, but throughout every piece demonstrated an artistic conviction that was a joy to witness. The highlight of Kieran’s playing was his expressive and engaging performance of Nico Muhly’s Keep in Touch for viola and electronics. He prefaced it with an explanation of what the work means to him through its celebration of the LGBTQIA+ community – and his interpretation was not only skilful, but beautifully vulnerable [...] Kieran's set was a pleasure to watch." CutCommon's Lily Bryant was at Kieran's last solo show (supporting we are breathing on their debut Australian tour), and had only rave reviews for his performance. Read the full review at www.cutcommonmag.com/live-review-lily-goes-to-see-we-are-breathing/, and keep an eye on all his upcoming performances here! Dots+Loops goes national with Liminality—but we need your help! Make Liminality happen — Donate now! 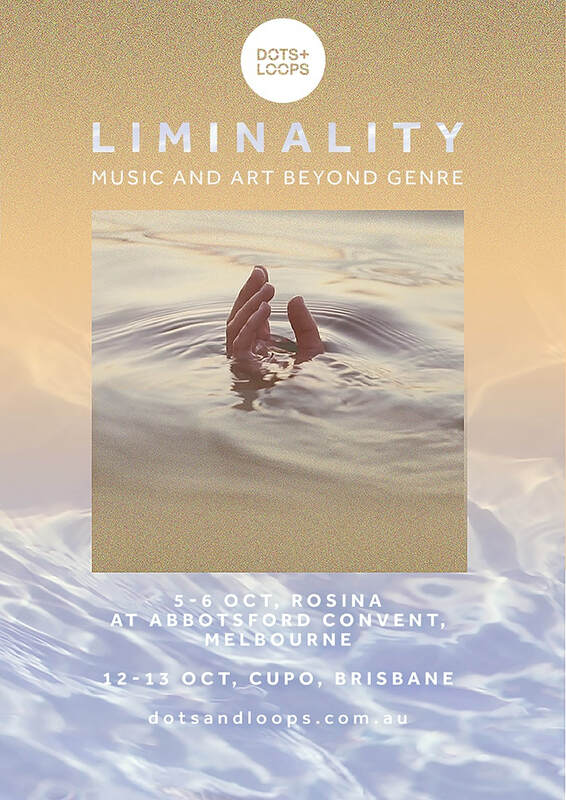 This October, Dots+Loops goes national for the first time with Liminality, a uniquely captivating two-day festival in both Melbourne and Brisbane. ​Cutting-edge international talent joins with some of Australia's most exciting performers, to present music by Kate Moore, Philip Glass, Brechtje and more. 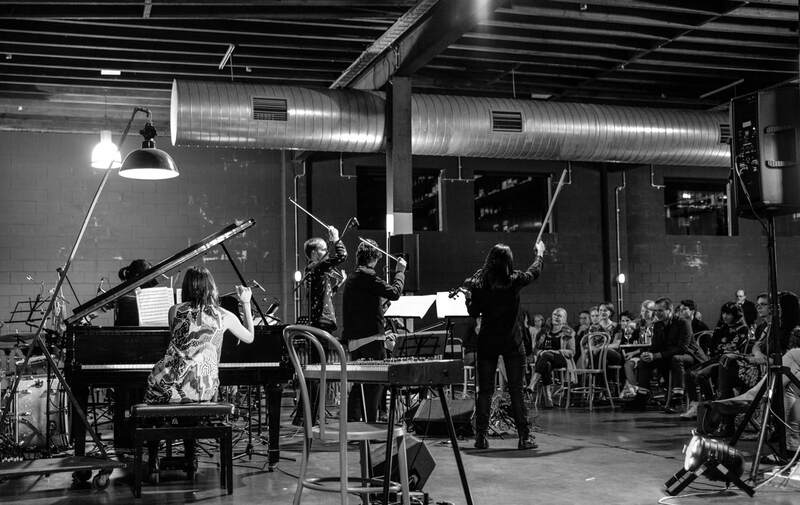 Elliott Hughes, Tilman Robinson, comp.artmental and Allison Wright combine to present the world premiere of "Augmented Trumpet", an immersive live multidisciplinary experience. There are numerous free community workshops curated by Megan Steller, and a unique performance fellowship program for Australia's next generation of adventurous performers. However, we need your help to make this festival a reality! Any donation above $2 is tax deductible in Australia, and you'll be ​be directly investing in making exciting and adventurous new music and art accessible for everyone. To donate, head over to our ACF Campaign Page, and after that head over to the Liminality website to read about the festival in full! This August 5, Kieran will perform music for viola and electronics by Anne Leilehua Lanzilotti, Missy Mazzoli and Nico Muhly in the stunning Spring Hill Reservoirs, supporting electroacoustic duo We Are Breathing on their debut Australian tour. ​Make the concert happen by grabbing your ticket and bunch of other cool rewards now at the We Are Breathing Kickstarter! A "musical utopia for innovative musicians", the Bang on a Can Summer Festival is regarded as one of the leading contemporary music mentorship programs in the world. Kieran will return for his second year as a fellow this July, where he'll work and perform alongside Grammy and Pulitzer prize-winning composers Steve Reich, David Lang, Julia Wolfe, and internationally acclaimed musicians such as cellist Nick Photinos and pianist Vicky Chow. For more information on the festival and a daily schedule, head to bangonacan.org/summer_festival. A synthesis of musical worlds. A synthesis of artistic disciplines. ​Tickets $23 at https://www.trybooking.com/TSYN, or $25 on the door. Kieran has been in Sydney this week, rehearsing with the Sydney Dance Company in preparation for their tour to Shanghai and Wuxi this coming week. He joins the company to perform in Alexander Ekman’s “Cacti”, an “affectionate, pointed and often hilarious deconstruction of the affectations of dance”, which features a live string quartet joining the dancers on stage as integral characters in the work. Catch performances at the Shanghai International Arts Festival from October 22-23, and the Wuxi Grand Theatre on October 26. More information available here. 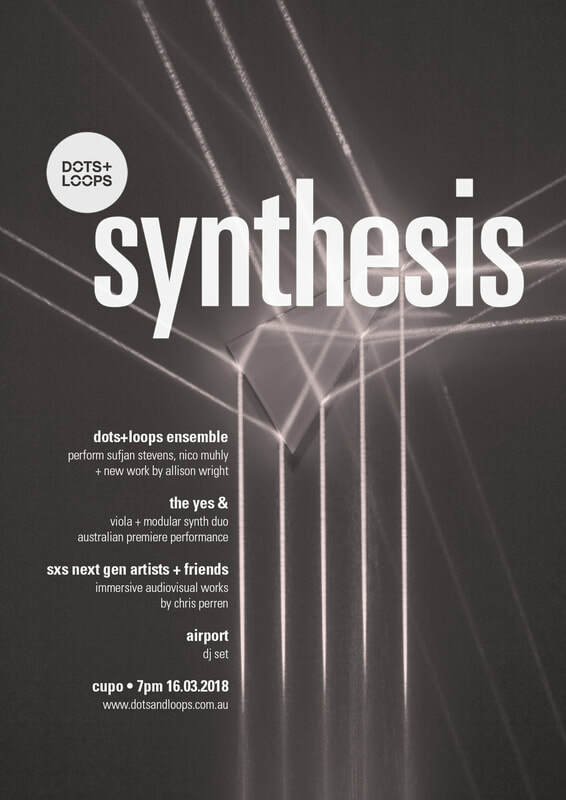 Dots+Loops Companions this Friday and Saturday! Curated by Kieran, join Dots+Loops for a musical experience like no other: the Dots+Loops Companions Festival! Blurring electronica, jazz and classical into a completely new and captivating experience, the festival features world-renowned cellist Ashley Bathgate, brand new music from Big Dead, immersive virtuosity from Kupka's Piano, and Rosa Guitar Trio premiering two new pieces written just for the festival by Chris Perren and Brechtje. Held in the chilled out warehouse at Cupo in Brisbane's Fortitude Valley, there's heaps of comfy spaces to hang out with friends, and a bar open all night. DJs Airport and Luke Cuerel will keep each night alive with a range of music following on from the rest of each program, while audience, performers and composers alike hang out in the in-venue afterparty. Space is limited and tickets are moving fast, so grab yours now at trybooking.com/QAUG! 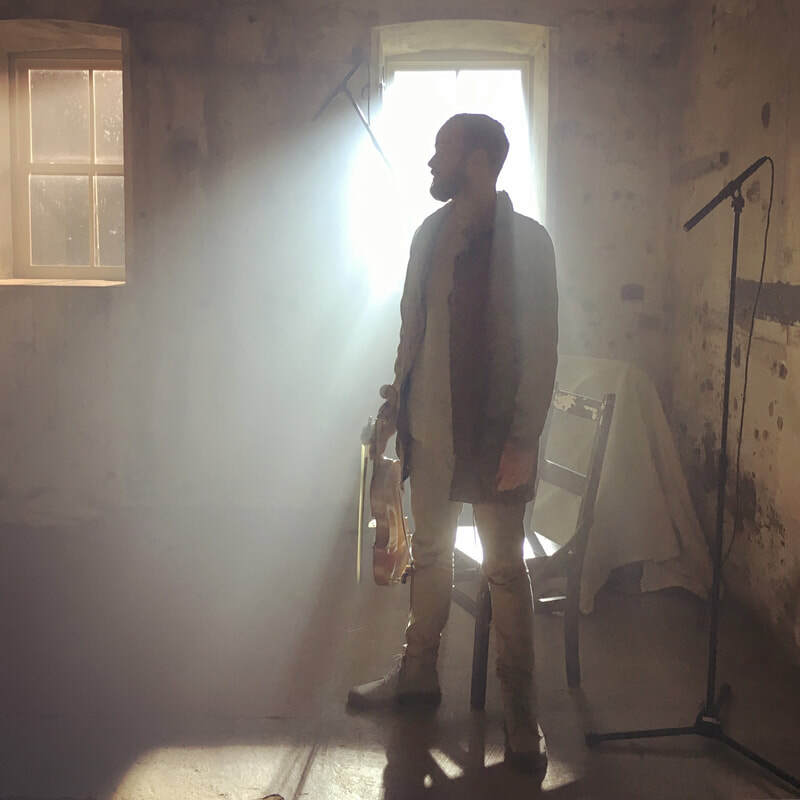 Kieran's MPhil thesis "Performing with a post-genre ethos: a performance-led exploration of post-genre and indie classical music" has been published and is fully available to read and download online. A pioneering performance-led examination of post-genre music, the paper examines the emergence and context of post-genre music, and the relationship between post-genre and the label “indie classical”. Incorporating in-depth interviews from the likes of Missy Mazzoli, Bryce Dessner, William Brittelle, Chris Perren, David T. Little and Eileen Mack, the three-year project also uses Kieran's concert series Dots+Loops as a direct experimental and feedback source. Find it online at the University of Queensland Library, or download the document directly. 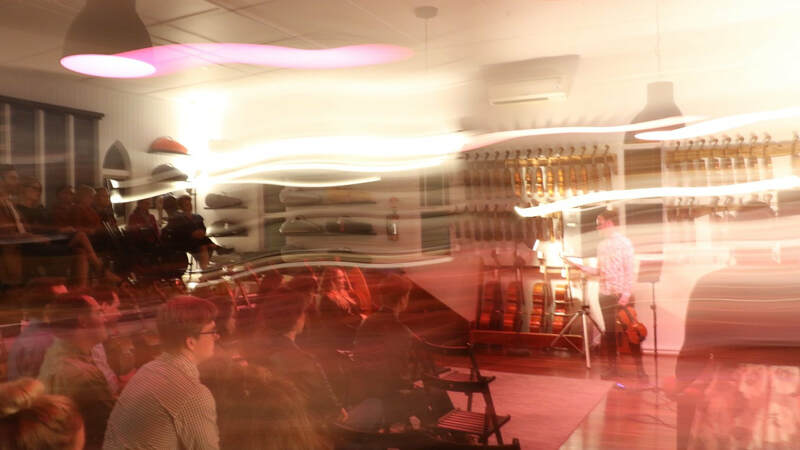 This Thursday 6 July, Kieran is a featured soloist at BackStage Music Sydney, where he'll be presenting a special set of music for viola and electronics by Chris Perren, Missy Mazzoli, and the world premiere of a new piece written for him by Connor D'Netto. Also on the bill, acclaimed new music group Ensemble Offspring and clarinetist Luke Carbon will be presenting a smorgasboard of fantastic new music. Tickets are limited to 80 people, so book yours now and avoid missing out! https://www.classikon.com/concerts/backstage-music-darlinghurst-6-jun-2017/. From 6:30pm at Creative Space 99, 99 Crown Street, Darlinghurst. More info at https://www.facebook.com/events/639656952904278.